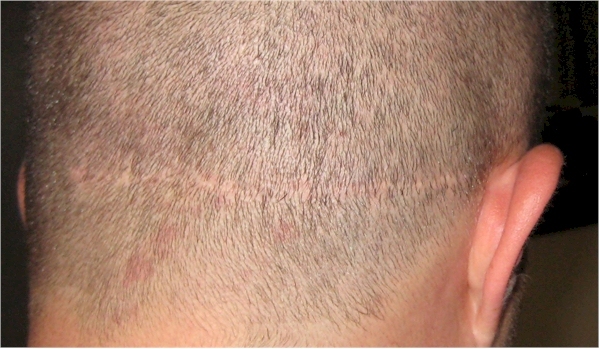 Strip scar repair using 200 grafts FUE. Dr. Jones has done many strip scars repair work using FUE grafts. In many instances, a relatively small number of grafts can make a huge difference. For more patient results, go to www.drrobertjones.com or call his clinic directly at 1-866-669-6676 or email info@drrobertjones.com for information. Only 200 grafts? Well worth it. » Only 200 grafts? Well worth it. I agree, the scar looks much better. Believe it or not this is actually considered a pretty good strip scar by most standards. 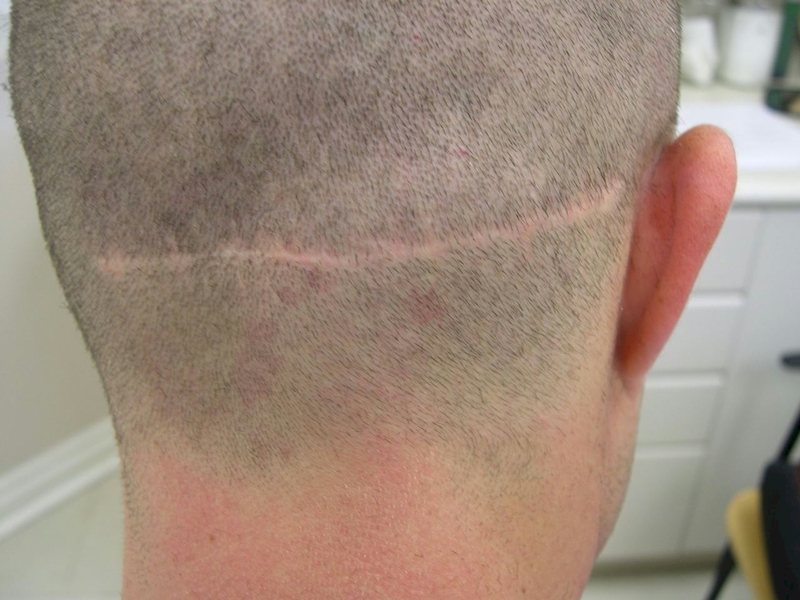 I wonder how old is this scar and this is the result of how many grafts? Fantastik! One of the best I have seen, this was done using regular head donor and not body hair ? How bout showing us two pictures with the exact same length of hair. In the after pic, the hair is CLEARLY longer!!. It could just be that hair covering the scar. Get your eyes check. See the close up photos. There are clearly regrowth in the donor scar. This is one of the best donor repair photos.